Finished painting my first unit of Skeleton Warriors. They’re part of my new goal to complete a decent and varied selection of units for my Death army, before taking a bit of a break from painting this force. 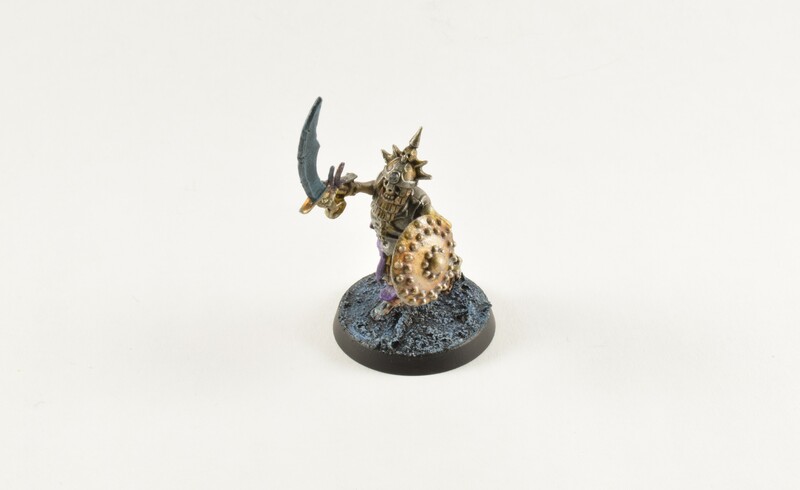 I’ve enjoyed painting everything so far, and want to come back fresh to the likes of Nefarata and the Terrorgheist. In this post I will talk briefly about my Skeleton Warriors, what I’ve got left to paint, and then also about some reading I intend to do around the release of Legions of Nagash. 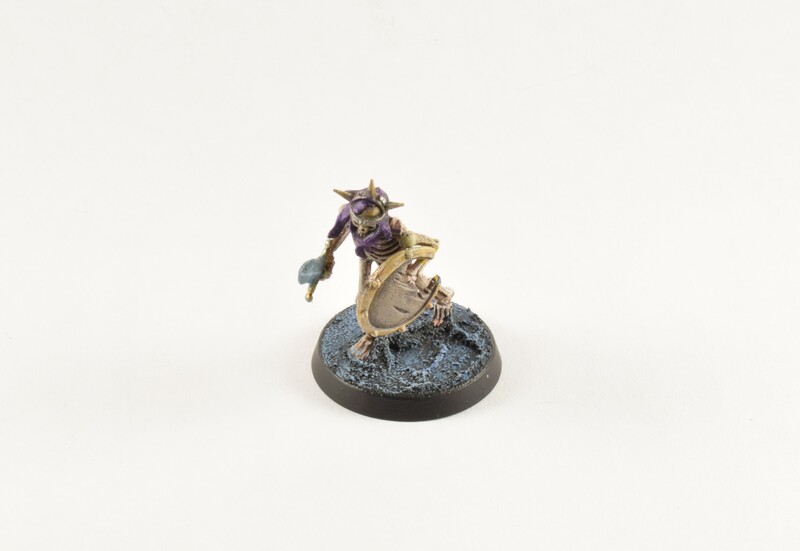 I started painting these as a batch of 20, doing quick all over washes of Reikland Fleshshade and Agrax Earthshade, before drybrushing Ushabti Bone and Pallid Wych Flesh. Taking less care with group drybrushing, I went too heavy on the white tones, so brought it all back down with a more careful application of Agrax Earthshade. After finishing the bone, I reduced the batch to a more manageable 10 models and completed all of the cloth, armour, weapons and other small embellishments before tidying them up a bit. I don’t mind them being rough given they’re skeletal line units likely to be built up to 20 or 30 in size. 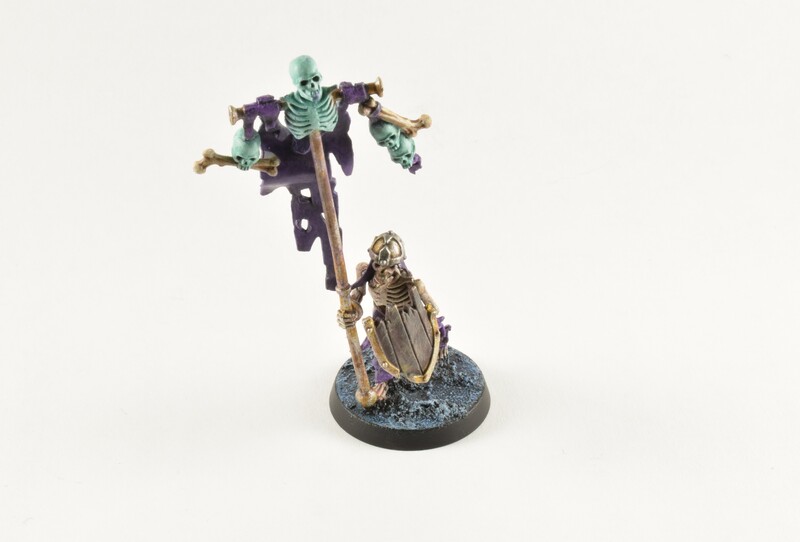 The models have a great sense of character about them – picked out a couple of my favourite skeletons above, as well as the unit command below. 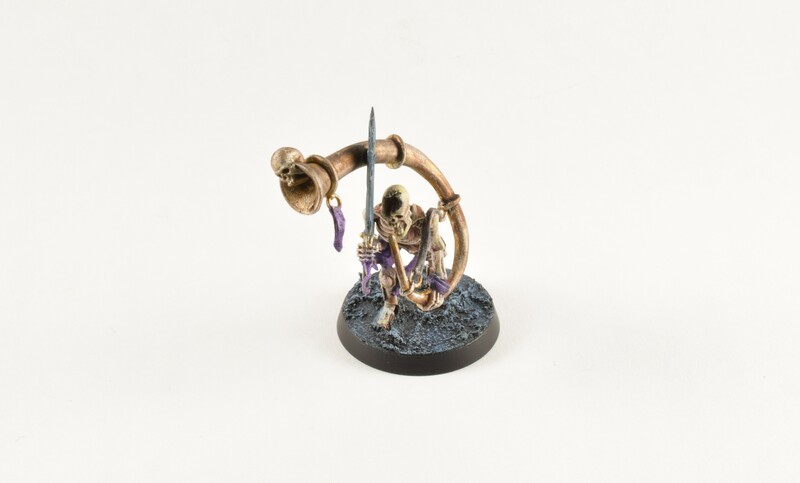 I’ve painted 24 models for Death this year. I’d like to complete 14 more in February/March. This gives me a decent painted collection. Note on Neferata – Unfortunately her nose is essentially missing, broken, somehow. Games Workshop will usually replace things like that, but it was a while before I built her and I’d since lost the receipt. I tried a little green stuff to give it a tad more definition, but I think it may hopefully look like a more rotten or damaged form of her when painted. As I’ll probably want to paint him in sub-assembly, I haven’t started on this yet because I want a period of time where I can give this total focus. I’m aiming to read the available Age of Sigmar texts that have a strong focus on Death. As I’ve already read Lord of Undeath (RGW Book 10), I’m going to acquire the following novels/short stories alongside the new Battletome to flesh out my understanding of this faction. – Due to release in May with this cool cover (photo from Black Library, Games Workshop). 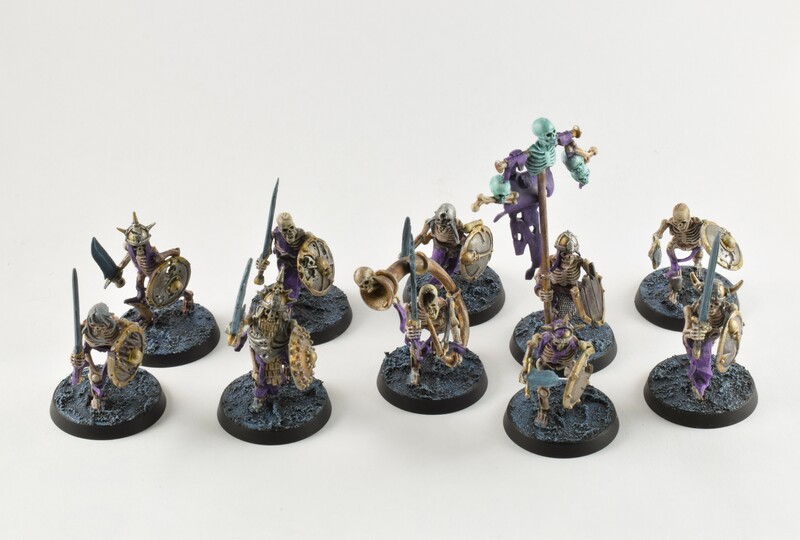 … and the last 10 skellies in a unit of 40 are half the points cost in GHB2018!! Excellent results for batch painting!